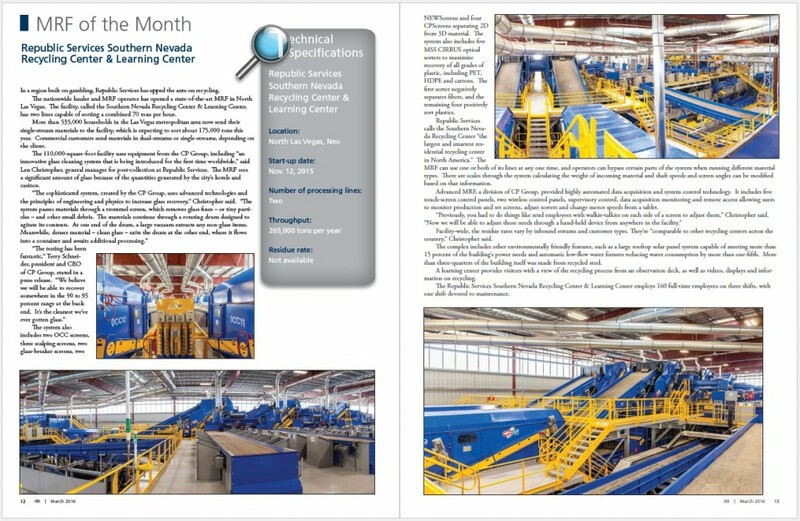 CP Group featured as MRF of the Month in Industry Publication | MSS, Inc.
CP Group’s “largest and smartest recycling system in North America” is featured in the March 2016 issue of Resource Recycling. Click here to view the PDF. Read full text below. In a region built on gambling, Republic Services has upped the ante on recycling. 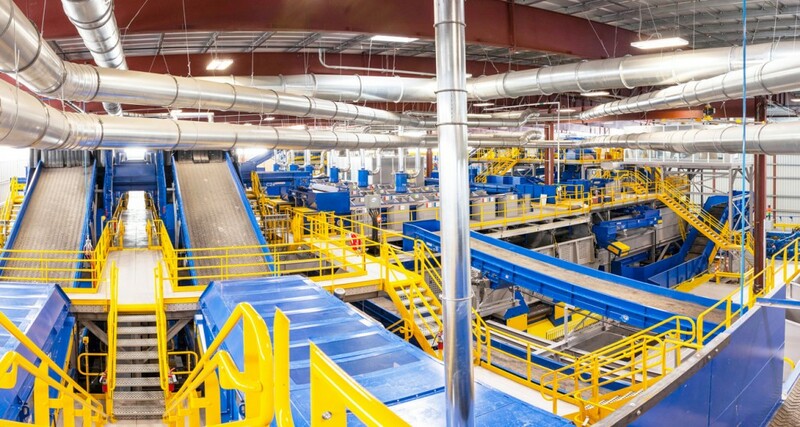 The nationwide hauler and MRF operator has opened a state-of-the-art MRF in North Las Vegas. 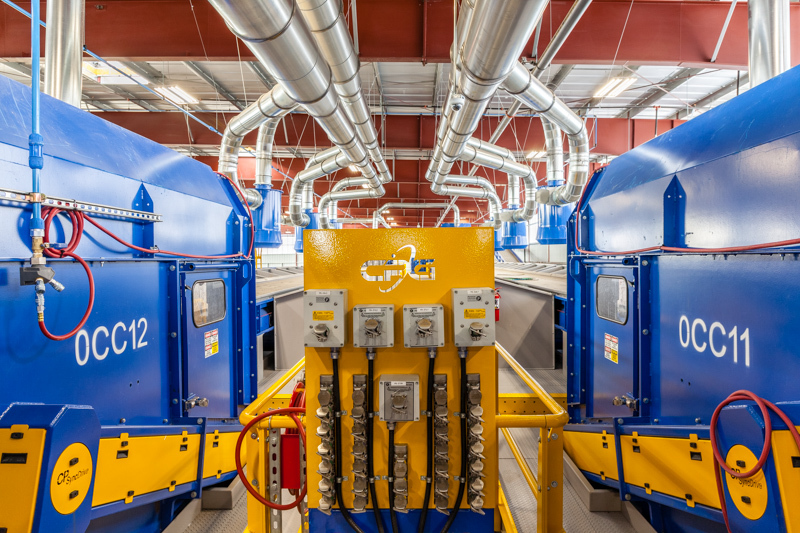 The facility, called the Southern Nevada Recycling Center & Learning Center, has two lines capable of sorting a combined 70 tons per hour. More than 535,000 households in the Las Vegas metropolitan area now send their single-stream materials to the facility, which is expecting to sort about 175,000 tons this year. Commercial customers send materials in dual-streams or single-streams, depending on the client. The 110,000-square-foot facility uses equipment from the CP Group, including “an innovative glass cleaning system that is being introduced for the first time worldwide,” said Len Christopher, general manager for post-collection at Republic Services. The MRF sees a significant amount of glass because of the quantities generated by the city’s hotels and casinos. The system also includes two OCC screens, three scalping screens, two glass-breaker screens, two NEWScreens and four CPScreens separating 2D from 3D material. The system also includes five MSS CIRRUS optical sorters to maximize recovery of all grades of plastic, including PET, HDPE and cartons. The first sorter negatively separates fibers, and the remaining four positively sort plastics. 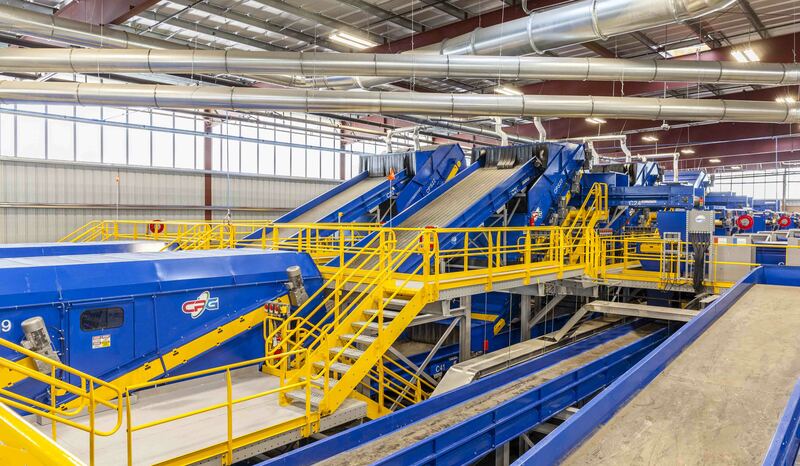 Republic Services calls the Southern Neva­da Recycling Center “the largest and smartest res­idential recycling center in North America.” The MRF can use one or both of its lines at any one time, and operators can bypass certain parts of the system when running different material types. There are scales through the system calculating the weight of incoming material and shaft speeds and screen angles can be modified based on that information. Advanced MRF, a division of CP Group, provided highly automated data acquisition and system control technology. It includes five touch-screen control panels, two wireless control panels, supervisory control, data acquisition monitoring and remote access allowing users to monitor production and set screens, adjust sorters and change motor speeds from a tablet. Facility-wide, the residue rates vary by inbound streams and customer types. They’re “comparable to other recycling centers across the country,” Christopher said. The complex includes other environmentally friendly features, such as a large rooftop solar panel system capable of meeting more than 15 percent of the building’s power needs and automatic low-flow water fixtures reducing water consumption by more than one-fifth. More than three-quarters of the building itself was made from recycled steel. A learning center provides visitors with a view of the recycling process from an observation deck, as well as videos, displays and infor­mation on recycling. The Republic Services Southern Nevada Recycling Center & Learning Center employs 160 full-time employees on three shifts, with one shift devoted to maintenance.